Legal & General America is the first carrier to offer up to 40 years of level term life insurance coverage. Now Agents can earn cash for each OPTerm 40 app submitted and be entered for a chance to win a bonus! Read more. 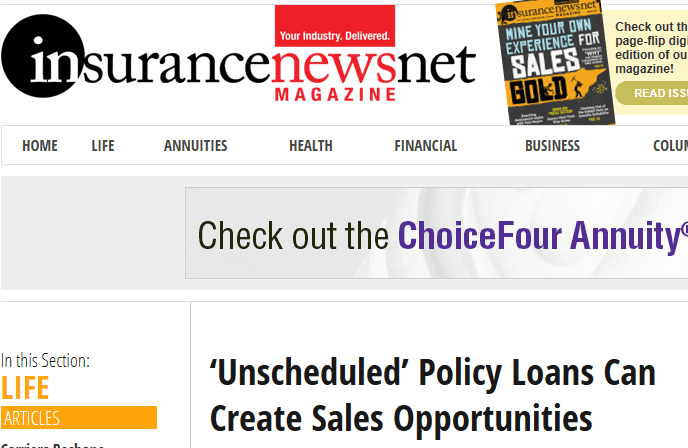 The post Agent Sales Contest: 40 Days of 40-Year Term appeared first on Insurance Designers of America. Effective with all Lincoln OptiBlend® contracts issued April 15, 2019 and later, clients can allocate into the 1 Year S&P 500 Participation account. This new indexed account uses the familiar S&P 500 Index as the benchmark index for the crediting methodology. Read more. The post New Indexed Account added to Lincoln OptiBlend® Fixed Indexed Annuity appeared first on Insurance Designers of America. Available now through Dec. 31, 2019: Principal® is offering a one-rate class improvement on single- or limited-pay (up to five years) sales of select universal and indexed universal life insurance policies. Read more. The post New Limited Pay Underwriting Program from Principal appeared first on Insurance Designers of America. 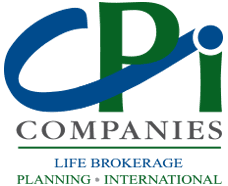 Beginning April 15, 2019, PL Promise Term life insurance got more competitive. Check out their “sweet spot” pricing improvements. Read more. The post Reprice on Pacific Life Promise Term Life Insurance appeared first on Insurance Designers of America. On May 6th Prudential will be making updates to PruLife Founders Plus® and PruLife Essential UL®. Also, PruLife® UL Plus is being retired. Learn more. The post Prudential UL Product Changes Effective May 6 appeared first on Insurance Designers of America. Enhancements coming soon to PruLife® Custom Premier II optimize its ability to help more affluent clients protect their families and combat retirement derailers like taxes and rising costs. Read more. The post Prudential Accumulation VUL is About to Get Even Better appeared first on Insurance Designers of America. Effective April 8th, John Hancock will no longer require routine EKGs for individuals up to and including age 70 and applying for face amounts up to and including $10 million – making the life insurance application process easier for you and your clients! View routine underwriting requirements. The post John Hancock to No Longer Require Routine EKGs appeared first on Insurance Designers of America. Protective Classic Choice Term will be repriced on April 1, 2019. Now, you can offer Protective’s dependable coverage at an even lower price. Learn more. The post Lower Rates for Protective Classic Choice Term appeared first on Insurance Designers of America. Principal is making Accelerated Underwriting (AU) attainable for more of your clients — it’s now available for all classes Standard or better. Learn more about enhancements to the AU program. The post Principal Accelerated Underwriting Just Got Better appeared first on Insurance Designers of America. John Hancock ExpressTrack ® offers a fast and easy path to underwriting decisions – and effective immediately, it will be available for face amounts up to and including $3 million! Check out the complete eligibility guidelines The post John Hancock Express Track Face Amount Expanded to $3M appeared first on Insurance Designers of America. Still think that term policy your client doesn’t need anymore is worthless? THINK AGAIN! We recently worked with a 75-year old client who owned a $1.5M term policy. The policy was approaching the end of the guarantee period, the client did not want to pay to convert, and planned to let the policy lapse. We explored a life settlement option and the client was able to sell the policy for $232,000, instead of letting it lapse and walking away with nothing. Agent's need to educate their client's about these opportunities, as too many are missed. Contact us if you'd like to learn more. Have We Created a National Shadow Retirement System? Beginning late January 2018 John Hancock will notify LTC policyholders (including those from the block acquired from Fortis) that their premiums are increasing. The effective date will begin with policies with anniversaries on or after May 1, 2018. Implementation is state specific and continues increases that, for some policy holders, began in 2012. For policy holders that are healthy, consider switching to newer linked benefit products with premium guarantees such as the Secure Lifetime GUL from American General. Recently two carriers, North American and Protective Life, Announced decreased cap rates for their newly issued and in-force blocks of IUL products. This repricing of options reduces the index cap rate, and the maximum illustrated rate for index segments that are initiated or renew in 2018. 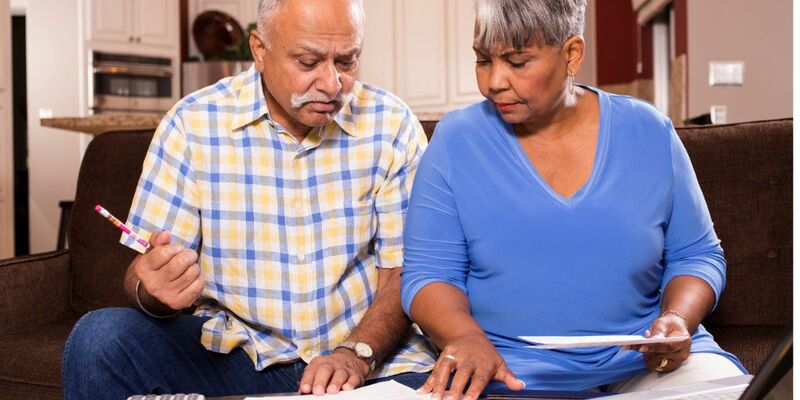 Indexed Universal Life cap and participation rates are determined by the carrier's options budget and the cost of options as determined by the options provider. These rates can be counterintuitive in a rising equities market where interest rates continue to moderate to the low side or fall. If you've ever asked your investment advisor for data on mutual funds or ETF's you know that there is a plethora of information available from a large number of sources. The source of the original purchase is irrelevant because the data is required by SEC and FINRA and is available through a simple internet search. You can research any fund, manager, or investment company and easily find the performance and cost structure. This makes investing easy and accessible for any purchaser. Now, try the same thing with your permanent life insurance policy. It is virtually impossible. Not only is there no repository of data, but the issuers go out their way to make sure you do not receive the information. 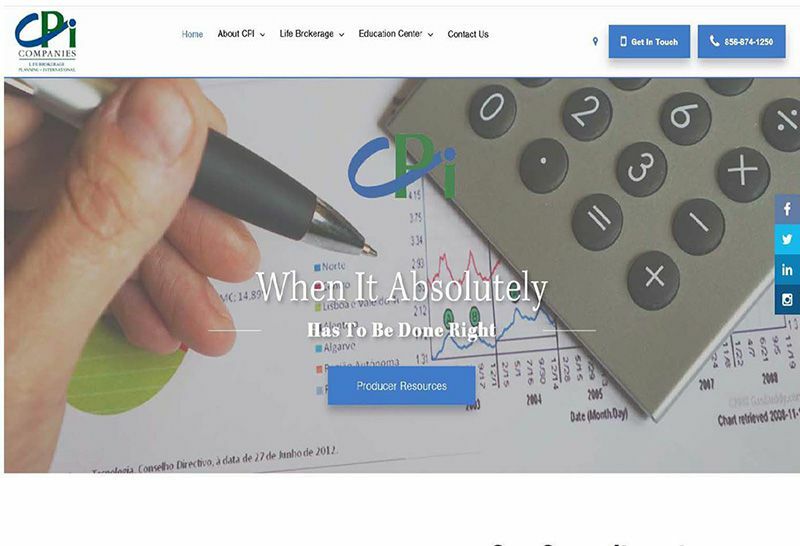 Meet the New CPI Companies Website! Life insurance policies need to change to meet the needs of new generations of purchasers. The idea that the benefits of a policy are only for the purchasers beneficiaries is outdated and in desperate need of a makeover. American General has the only solution: Secure Lifetime GUL 3 is life insurance for the living. 1. Opt Out. After year 25 clients can elect to terminate the policy and receive a full refund of all premiums paid. 2. Use the death benefit to pay for LTC or chronic illness. Indemnity based benefit. No need to provide receipts. Pay for home care by a family member or use for any other purpose.